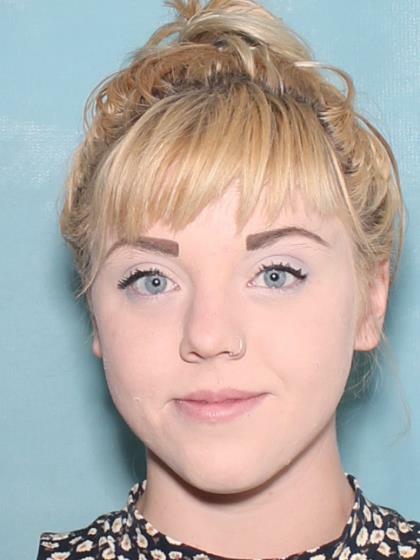 Rainie Norris (19) is a white female 5'4, 130lbs with blonde hair and blue eyes. She was last seen wearing a dark blue summer dress. Rainie was last seen on 3-6-16 leaving her mothers residence in the area of 7000 East Gary Street in Mesa at around 1600hrs. She has not been seen or heard from since. She was picked up from the location by a white male in his late 20's or early 30's with brown hair. The male subject was driving a silver colored truck. Family is concerned for her welfare due to her past drug usage and the fact that she has not communicated with any family or friends which is very out of character for her. Rainie is known to frequent various locations in Tempe. Last seen leaving the area in a Silver colored truck. Rainie does have an outstanding warrant for her arrest out of Tempe.